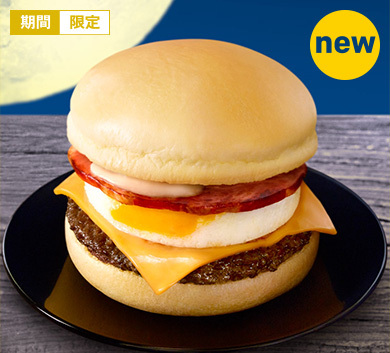 The seasonal Tsukimi Burger is back for autumn 2016 in Japan with a brand new addition to the “tsukimi” family. 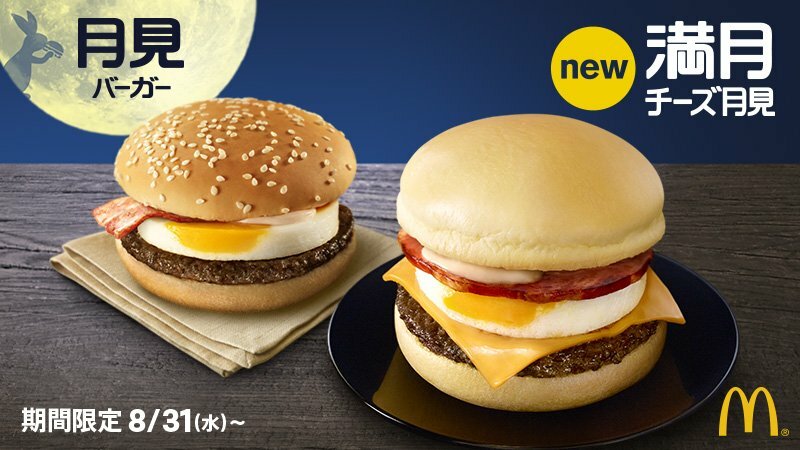 The Tsukimi Burger (月見バーガー) is named after the famous Japanese tradition of tsukimi (月見) or moon viewing, which is a festival honoring the bright autumn moon. 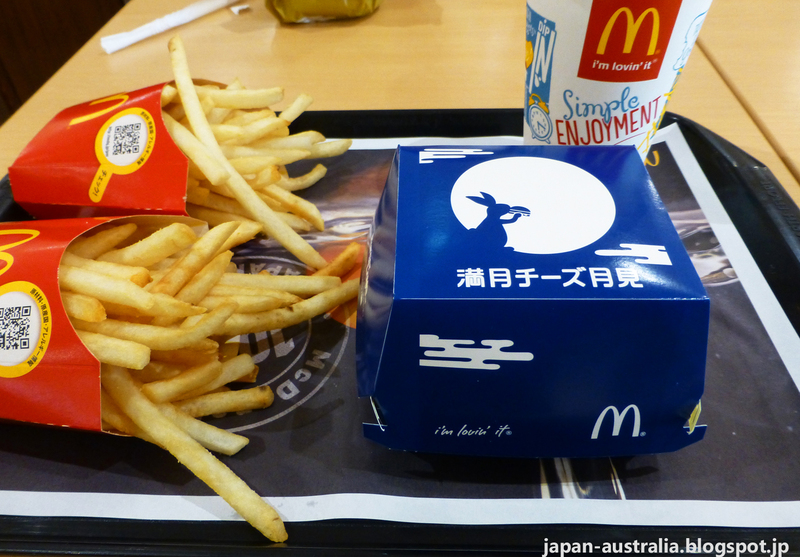 The Tsukimi Burger has been around for a few years now, first making its first appearance way back in 1991. It has been a popular seasonal favourite ever since and comes back every year in some form or the other. Check out last year’s edition of the Tsukimi Burger. 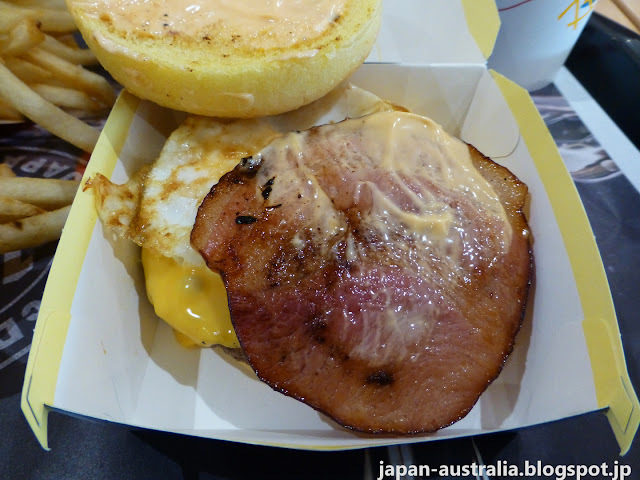 It traditionally contains a beef patty, smoky bacon, a poached egg and a special Aurore sauce made up of ketchup mixed with Japanese mayonnaise. 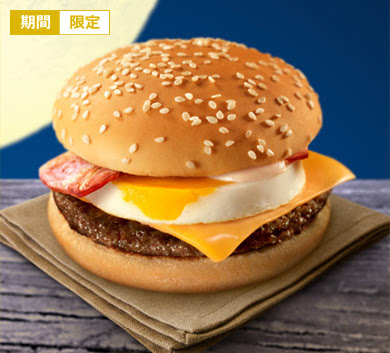 The poached egg in the burger is said to resemble the autumn moon with the egg yolk representing the bright autumn full moon and the egg white the white sky. 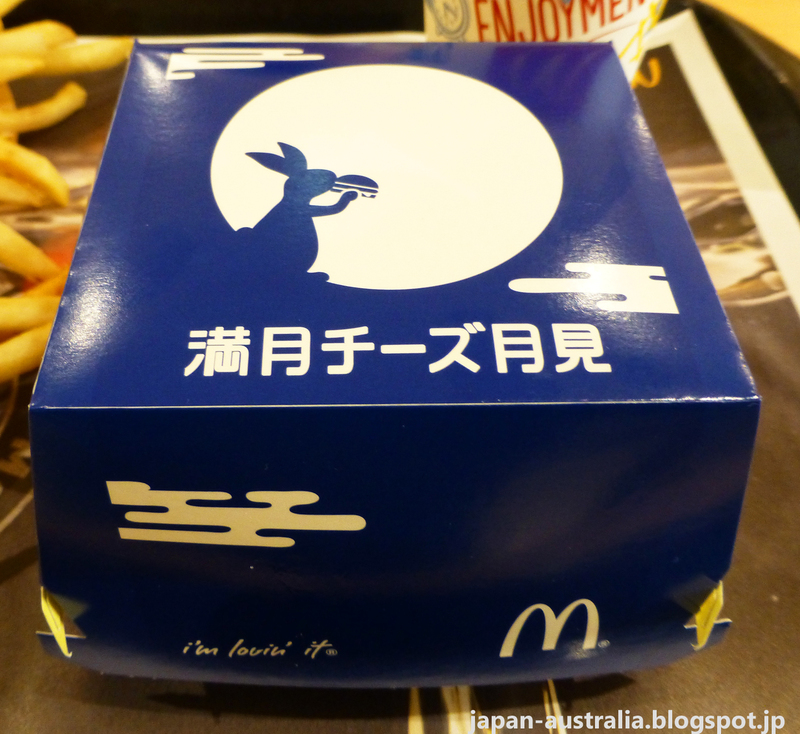 This year it is celebrating its 25th anniversary with the brand new “Full Moon Cheese Tsukimi Burger”. 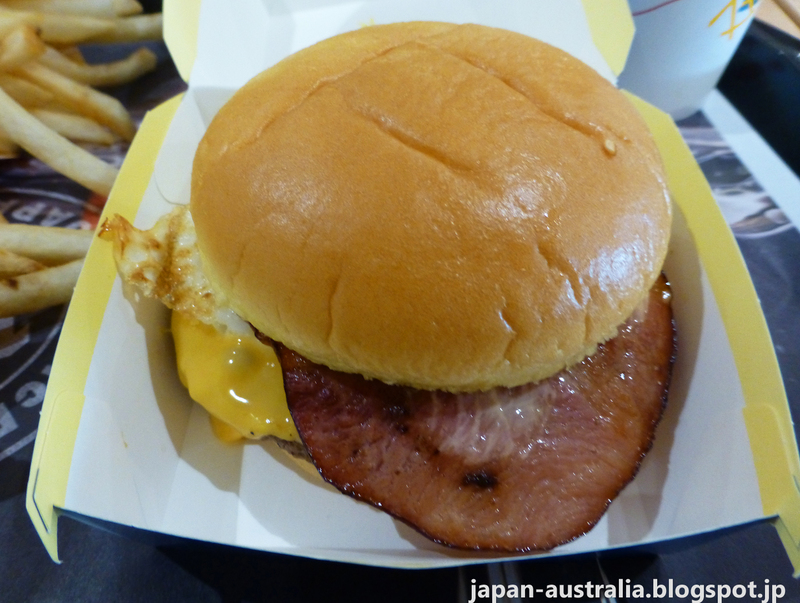 The Tsukimi Burger is the original and some say best version of the burger. 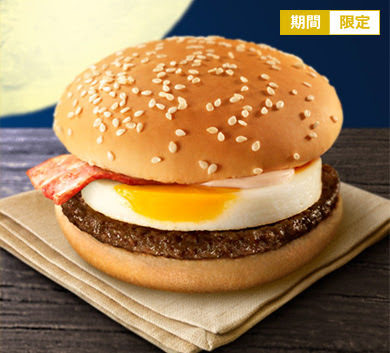 It contains a juicy beef patty, smoky bacon, a poached egg and special sauce all in sesame topped buns. The Cheese Tsukimi Burger is the best in our opinion and is pretty much the same as the original above, with the addition of cheddar cheese, which makes it better. 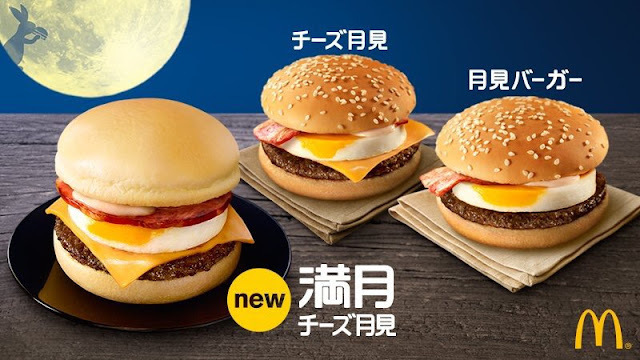 The brand new Full Moon Cheese Tsukimi Burger is similar to the original but contains a slice of ham instead of bacon, cheddar cheese, and is inside buttery, fluffy, round moon-shaped buns made with fresh cream. We at Japan Australia are huge Tsukimi Burger fans, so just had to try the brand new “Full Moon Cheese Tsukimi Burger”. 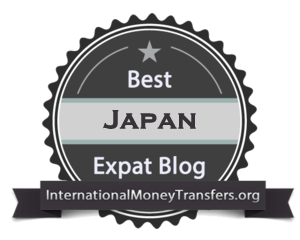 How was it? 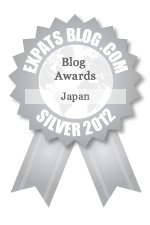 It was OK! The addition of ham instead of bacon was a minus in our opinion and the buttery soft fluffy buns were good, but give us the original sesame topped buns any day of the week. 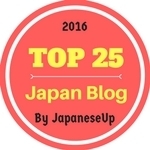 Overall it was good, but we think we will just stick to "The Cheese Tsukimi Burger" from now on as it is definitely the best in our humble opinion. The Tsukimi Burger series is available from August 31st until the first week of October at McDonald’s restaurants across Japan. 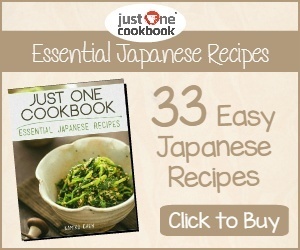 Prices for the burgers vary depending on the region of Japan. I kinda like the burger container.